A masked man approached a woman as she pumped gas in Lincoln Square Thursday afternoon and demanded that she hand over the keys to her car. But the woman refused—because her kids were in the car. It was the fourth known carjacking attempt in the Town Hall police district this week. The woman was fueling up around 2:35 p.m. at the Mobil station, 4638 North Damen, when the would-be carjacker approached. Subscribed to CWBChicago for as little as $49 a year to receive members-only reports and services. The woman described the offender as a Hispanic man who wore a black mask and a black jacket or hoodie. Unfortunately, the woman did not file a police report. 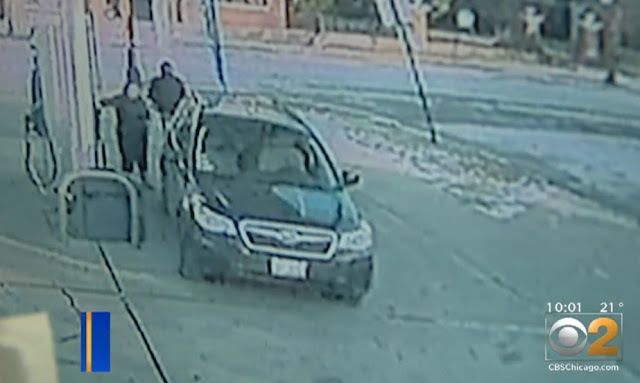 Until she does the incident won’t show up in crime stats, and the police department won’t be able to take the attempt into consideration as they plan an anti-carjacking strategy. CBS2’s Dana Kozlov tracked the mother down on Friday, one day after we revealed the incident on our @CWBChicago Twitter feed. Check out surveillance video of the incident at CBS2’s site HERE. Map of known carjackings this week in the Town Hall police district. 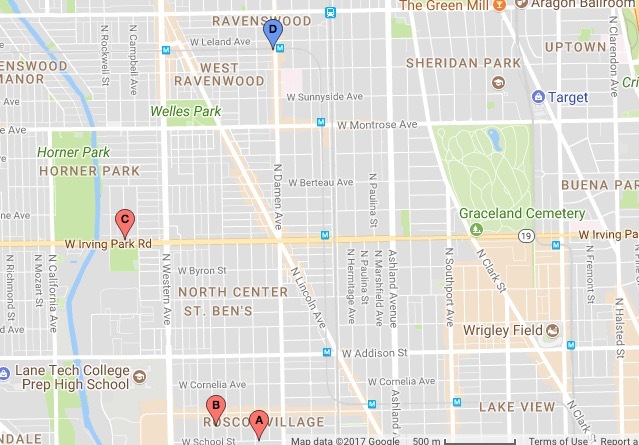 Two drivers were carjacked at gunpoint in the Roscoe Village area on Monday evening. And an Uber driver had his car taken by a gunman in North Center on Wednesday. The Uber driver’s car was later found abandoned in Logan Square, according to a source.